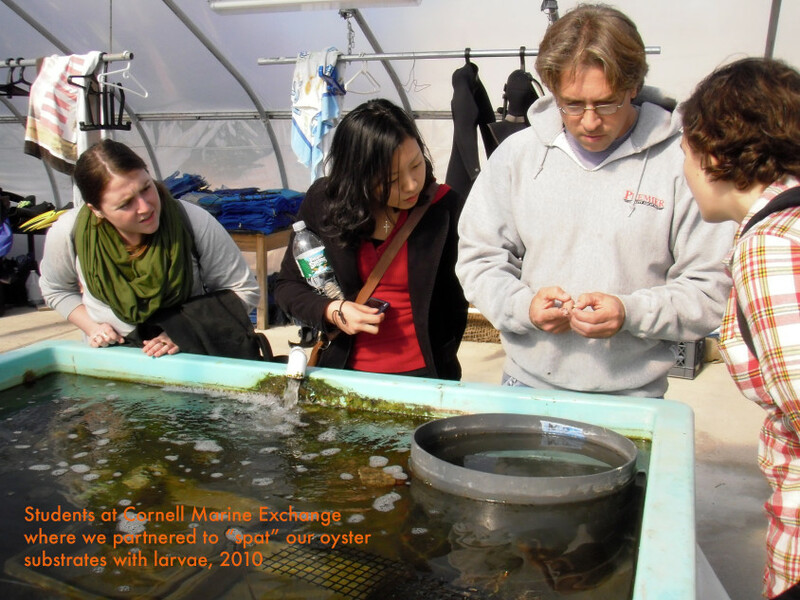 This is an experiment I conducted with my students at the New School and Cornell Marine Exchange in South Hold in the search for a substrate that would work in areas of low salinity and also did not use plastic or concrete. 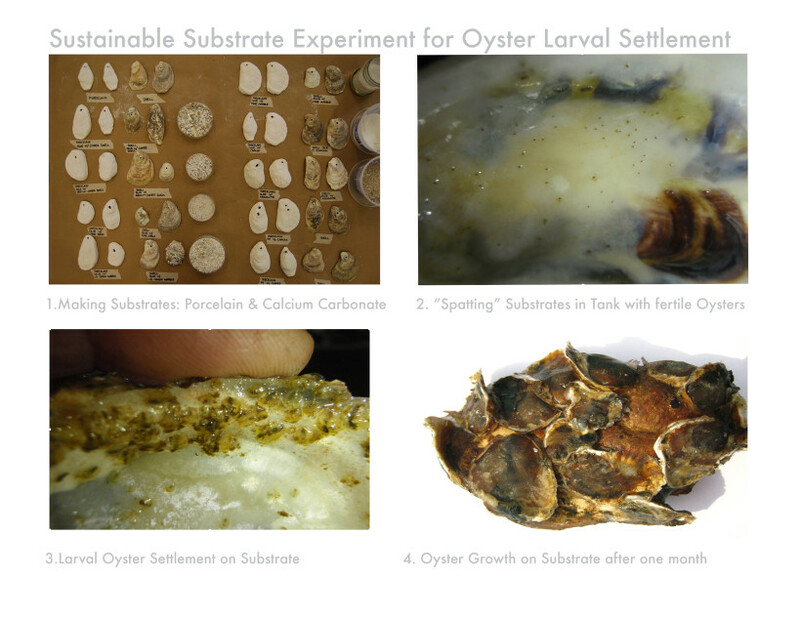 The goal was to find alternatives for which surfaces the oyster spat liked the most besides aged oyster shell. So we’re testing for material prefrence as well as preference for certain textures. The reason for this is because oysters have been decimated in New York where they once thrived and there are no large scale reefs- their favorite surface for oyster spat or free floating oysters to settle on. *Chinese porcelain has been found on the oceans floors sometimes thousands of years after it first sank totally intact.We suberged our samples in a vat of oyster eggs and sperm! Wow! We counted how many spat settled on each shell and the winner was Argonite on Porcelain with about a grape nut sized grain with 24 baby oysters stuck to each side.